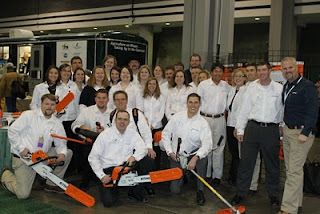 On Friday morning our YF&R Committee traveled to Covington for an Accurate Ag Books project. 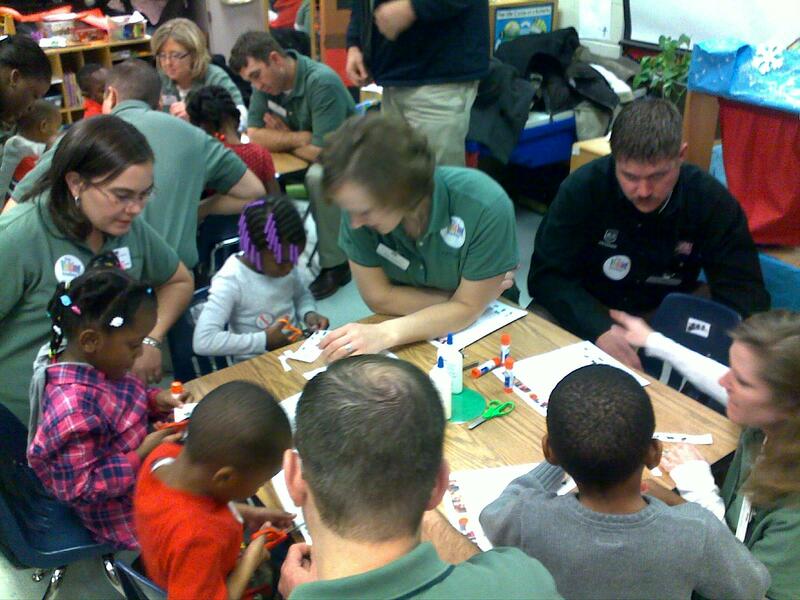 We read the story Senses on the Farm to a classroom & followed up with learning activities. Even though we were very busy Saturday with committee business and preparing for our national competitive events, we still managed to have a little fun with one of our promotional sponsors. 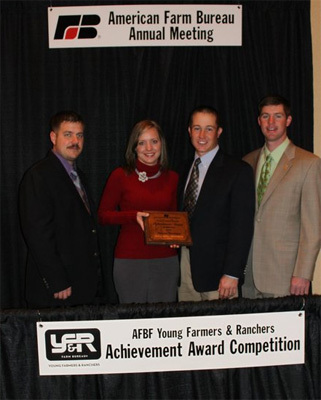 Sunday morning before devotions, we kicked the day off with a networking breakfast for competitors in the Achievement Award and Excellence in Agriculture Award. We announced the Top 10 finalists in each at the Opening Session, and then spent the afternoon managing the round robin and Sweet 16 rounds of our Discussion Meet event. 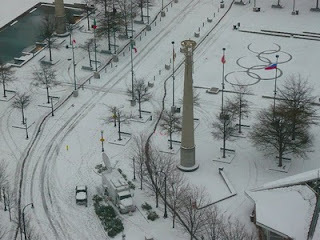 A winter storm passed through Sunday evening and coated Atlanta in a layer of ice. It didn't slow down the meeting, but it did ultimately effect lots of people's travel home. 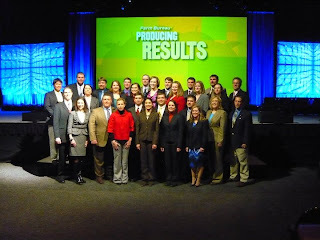 With out committee business and competitive events in the books, we took a few moments to have our photo taken in front of the stage before Monday afternoon's closing session. 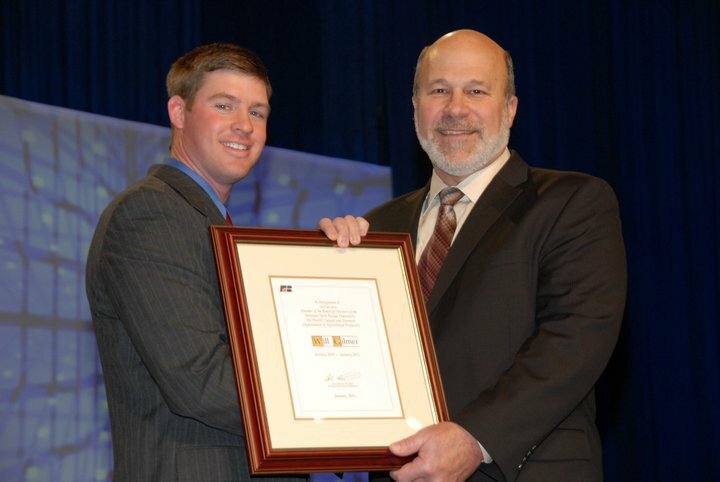 Monday's closing session began with a recognition of retiring members of AFBF's Board of Directors, which included me and three retiring state farm bureau presidents. One of the guest speakers for the closing session was none other than US Secretary of Agriculture Tom Vilsack. 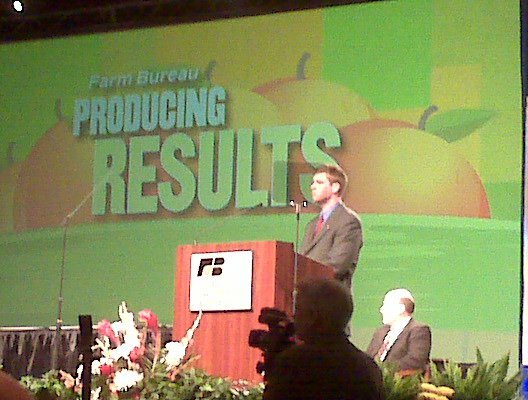 The USDA boss shared his thoughts on a number of issues with our membership. 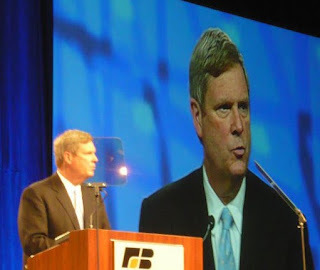 Following Sec.Vilsack's address, it was time for the YF&R segment of the program. The crowd was treated to this video featuring our committee's members and activities. It was my honor to address the membership from the podium during the YF&R segment. 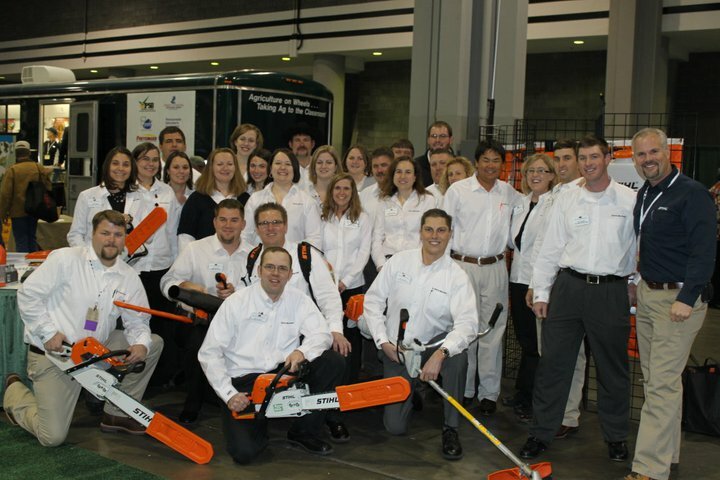 I helped announce the winners and runners-up for our three national competitive events and recognized our three promotional sponsors, Ram Trucks, Case IH, and Stihl. My last act before leaving the stage was to introduce Ben LaCross, my successor as YF&R Committee chairman. 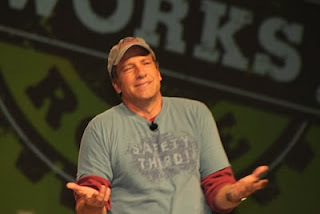 Mike Rowe gestures to the crowd during his Keynote Address. The final and keynote speaker for the session was Mike Rowe. He spoke of his respect for farmers and ranchers and reminded us that we are the best spokespeople for agriculture. Whenever our YF&R Committee is together, we always retreat to our suite at the end of the day to debrief and enjoy each other's company. Occasionally, though, a few may slip out for unsanctioned activity. I cannot confirm if these photos are real, much less who is involved or where it was taken. But it appears as if this activity involves throwing bean bags at a volunteer seated some 10 floors below. 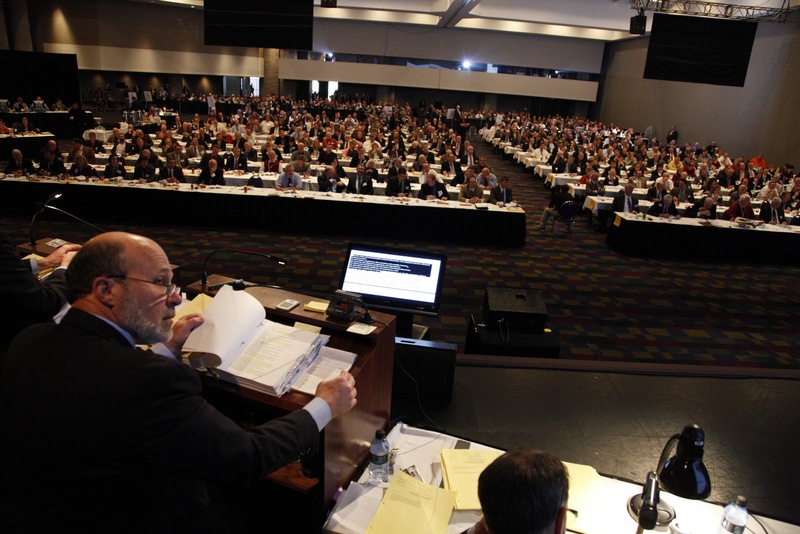 My last "official" act as YF&R Chairman was to represent the program in the voting delegate session, the meeting in which our organization adopts its policies for the coming year. I had a front-row, center aisle seat for the proceedings. I also addressed the floor concerning two different issues: temporary supply management for the dairy industry and the YF&R Program's age limit. And that pretty well sums it up. We worked hard, got lots accomplished, and had a great time with one another. I can't wait to get back together with everyone for one last hurrah at our National Leadership Conference next month in Orlando! Thanks for all you do. We had several members from Indiana come home with some crazy stories about actually getting home! I randomly came across your blog today, and my husband just left Farm Bureau to come back to Texas to farm. 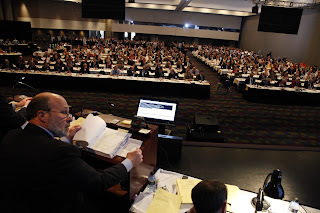 The Annual Meeting in Atlanta was his last week of work!